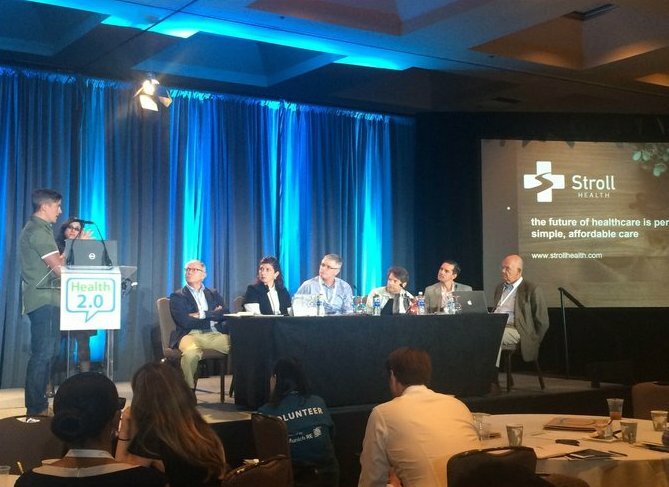 Last week more than 2,000 CIOs, investors, and digital health entrepreneurs descended on Santa Clara for Health 2.0’s 10th Annual Fall Conference. The competition for best new company this year was split into two tracks, featuring companies with consumer and enterprise solutions. Stroll founder and COO, Matt Maurer, represented Stroll and showed off our seamless, all-in-one referral management and patient access solution used by consumer-focused hospitals and clinics. We are excited to announce our reception of this award and we give a big thank you to all of the investors and mentors who contributed their time and expertise.